Doubtless paying “road tax” also allows one to use any available asphalt surface, even if it probably hasn’t been designed to take the weight of a car. 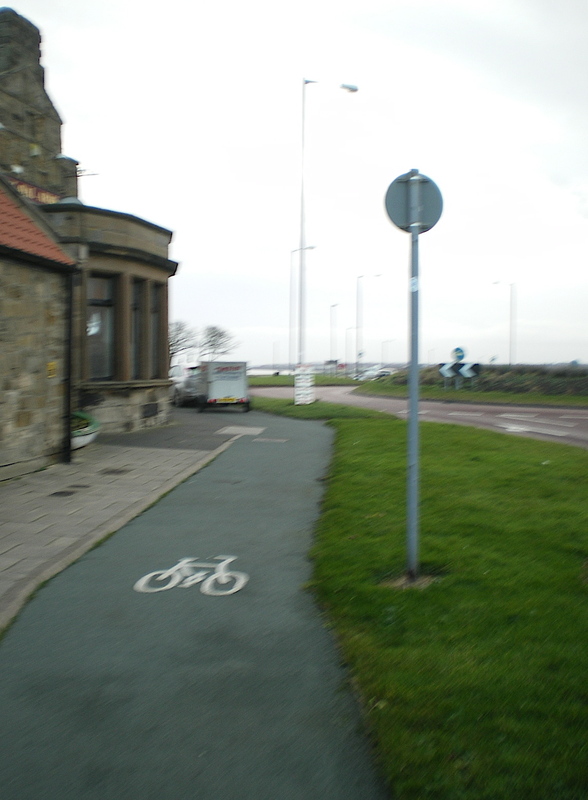 Because this guy was parked on the cycle path outside the Delaval Arms, Daughter and I diverted onto the pavement for a few yards – I had visions of running into a copper just around the bend, and being handed a pair of fixed penalty notices, while the driver got off scott-free. Mercifully, we all got away with it this time. Well its not illegal to park with all 4 wheels of a car on a pavement, so you can be pretty sure this isn’t going to be illegal as well.